Wendy Larson. Zhang Yimou: Globalization and the Subject of Culture Amherst, NY: Cambria Press, 2017. xv, 420pp. ISBN: 9781604979756 (Hardback). In Zhang Yimou: Globalization and the Subject of Culture, Wendy Larson asks us to take Zhang Yimou 张艺谋 seriously again. This is a very welcome intervention. Few Chinese film directors seem to have been more widely—and diversely—reviled than Zhang. As Larson nimbly lays out in her introductory chapter, he was first attacked for alleged self-orientalism in pursuit of foreign film festival awards in the early 1990s. Then, his martial arts megahit Hero (英雄, 2002) was condemned for promoting “fascist” submission to authoritarianism. Worst of all, his more recent films, such as the Matt Damon vehicle The Great Wall (长城, 2016), have been ridiculed and dismissed. Nevertheless, Zhang remains China’s only director with a global reputation beyond the festival scene, and the only one with enough clout to put together a project like The Great Wall. Even though many of us might be more comfortable with festival favorites like Jia Zhangke 贾樟柯, we should not ignore directors with wider impact like Zhang Yimou, Feng Xiaogang 冯小刚, and the host of younger genre filmmakers that have emerged as the industry has boomed in the People’s Republic. At 420 pages, Zhang Yimou: Globalization and the Subject of Culture is a magnum opus. However, although UC Berkeley’s Pheng Cheah is quoted on the back cover as saying the book studies Zhang’s “entire oeuvre,” it does not actually cover everything Zhang Yimou has ever done. There are chapters on Red Sorghum (红高粱, 1987), Judou (菊豆, 1990), Raise the Red Lantern (大红灯笼高高挂, 1991), Qiu Ju Goes to Court (秋菊打官司, 1992), To Live (或者, 1994), Keep Cool (有话好好说, 1996), Happy Times (幸福时光, 2000), Hero, and Riding Alone for Thousands of Miles (千里走单骑, a 2005 film wrongly credited as made in 2009 at first mention on page 30, but correctly dated in the filmography), as well as a conclusion focused on Zhang’s opening ceremony for the 2008 Beijing Olympics. The selection of films focuses more on the first half of Zhang’s career, leaving aside relatively neglected more recent works, such as A Woman, a Gun and a Noodle Shop (三枪拍案惊奇, 2009) and Coming Home (归来, 2014). Some may feel that Larson is wise not to try and rescue these later works. But their omission is just as likely to be motivated by the nature of her project as by aesthetic judgment. That project may be about a single director, but it is not an auteurist attempt to demonstrate that all of Zhang’s works are bound by shared thematic and stylistic obsessions. Rather, it is a textual analysis, in two senses. First, it is a reading that produces meaning through its engagement with the films, rather than claiming that meaning resides in the film itself. And second, although Larson makes clear her position in the existing debates about Zhang, she moves the discussion toward analysis rather than judgement. The overall argument advanced in the book is that the selected Zhang Yimou films constitute a sustained investigation into the nature and role of culture in China’s process of social, cultural, and political transformation, as it has been globalizing and developing its market economy. In her introduction, Larson grounds this enquiry by returning to the debates within Marxist theory about whether culture and other elements of the superstructure are directly determined by the base or whether they have an autonomous role of their own. Larson asks, “Can culture produce resistance to invasion, capitalism, or nonindigenous practices? Can it preserve, sustain, and evolve something distinct to a community, a way of life through which its members can gain a positive social and cultural identity?” (12). She argues that each film engages with these issues in different ways. Before moving on to examine individual films, she elaborates on the two key terms in the subtitle of the book: globalization and culture. Insofar as the Chinese experience of postsocialism is simultaneously its engagement with globalization, globalization raises questions about the survival and role of both the nation-state and cultural difference in the new environment of global flows and invocations of a new cosmopolitanism. However, Larson rejects any essentialist understanding of culture. Instead, to define the cultural, she draws on debates in cultural studies and distinguishes it from two other key terms—the political and the social—as follows: “If we think of the political as a power struggle between antagonistic positions, and the social as organizational practices that form a community, then the cultural can be thought of as the collection of practices from concrete to abstract, that form a logic of and rationale for existence within or without that community” (28-29). Culture is about guiding values. Moving into the chapters, a series of themes emerges one after another. The first concerns the possibility of mobilizing culture to resist power, explored in the book’s first chapter, on Red Sorghum. Within the hermeneutic framework laid out in the introduction, this tale of revolution threatened by Japanese invasion in the early twentieth century resonates with the changes of the late twentieth century, including sudden contact with the outside world. Larson emphasizes that after Jiu’er 九儿 inherits the winery, she re-establishes it with the workers as “the ideal imaginary socialist society without the intervention of the state” (54). Culture, and in particular songs, become a crucial glue that binds this society and gives a shared vision in the face of various outsiders, from the bandits to the Communist Party and even the Japanese. Although the fate of the workers as they try to resist the Japanese is devastating, the survival of both the “my Grandpa” character and the narrator bears witness to a high point of cultural energy and hope, before the events of 1989. Of course, Zhang Yimou does not specify how to interpret Red Sorghum’s resonances with the times of its production in the late 1980s. Given that Zhang’s own mode is more allegorical than symbolic, Larson wisely steers clear of trying to pin him down, and she focuses instead on the mood of the piece and its deployment of culture as a mobilizer for the formation of community and resistance. Later in the volume, when examining films on the contemporary culture of the market economy such as Keep Cool and Happy Times in chapters 6 and 7, respectively, Larson argues that Zhang offers a few more upbeat twists about culture as a site for people to mobilize around in the face of the upheaval and social alienation produced by urbanization and the market economy. But before he gets there, there is a more pessimistic period. Larson locates this pessimism in Judou (chapter 2) and Raise the Red Lantern (chapter 3). Made after the 1989 watershed, these films rework the same narrative structure as Red Sorghum with ever more despairing variations. She covers the well-known debates about Judou’s return of the gaze and makes her position clear, but her focus is not only on gender and the metaphors associated with cruel patriarchs, but also on labor. She notes that in Judou, there is no possibility of a utopian community produced through shared labor and culture, as in Red Sorghum. Instead, labor is entirely commodified in the dying mill depicted in the film. For Larson, culture in the era of globalization and in these films is not about the national specificity that props like red lanterns might superficially invoke, but instead concerns configurations of labor, power, and economics, along with the possibilities for authentic community they enable or disable. Proceeding to Raise the Red Lantern, she traces how the decline from “authenticity” to “instrumentalist principles” (109) has reached the point where culture is less and less lived (as in the winery scenes of Red Sorghum) and increasingly a performance alienated from authentic experience and shaped toward self-interested goals. A second theme of the book concerns the different forms that Zhang imagines power taking. In the red trilogy films, as the early films are sometimes known, it is centralized, concentrated, and personified in the person of an elderly and often invisible patriarch. Of course, this model also manifests itself very clearly in Hero. Larson elaborates further on it in her fifth chapter, on To Live, which she titles “The Invisible Sovereign.” In that film, the link between this centralized model and Maoist China is explicit. In contrast to interpretations that have perceived an optimism in the conclusion of the film, Larson argues that To Live represents an image of Maoist China as one where sovereignty is entirely centralized in the figure of Mao himself, and that culture is “nothing more than an effect” (176) of that power. However, it is in the preceding chapter, on Qiu Ju Goes to Court, that the form of power emerges as a theme of the book, because with this film, Zhang imagines a different—although also not particularly optimistic—model. Larson draws on theories of sovereignty and power as diffuse rather than centralized to examine the film as an exploration of the changing relationship of culture and power in the post-Mao era. In this, she joins other scholars in acknowledging the film as marking a shift in Zhang’s filmmaking, despite some superficial similarities to earlier films in the form of Zhang’s trademark female protagonist and cultural anxiety about having sons. However, where others have focused on the everyday realism and contemporary themes of Qiu Ju Goes to Court, Larson focuses on power. She argues that culture is no longer the potential (albeit failing) site of resistance and authenticity against power in the film, because the diffusion of the political means it and the cultural have become thoroughly enmeshed in the lead character’s thwarted and ultimately botched efforts to seek justice through the legal system. Larson argues that this new complexity is displayed in the film’s ending, where Qiuju is revealed to need the protection of the sovereign power embodied in the very village head she has sued. She also argues that this defense of the village head and his role makes even this film, which is “well-liked … among intellectuals,” full of “intimations of authoritarianism” (158). Although these two central chapters in the book contrast models of power and culture, in Larson’s view this contrast is not to be understood as creating an absolute opposition between the two eras, but rather as presenting two different models for the operation of sovereign power in modernity. If one model is associated with Maoism in China, the other is associated with the emergence of the market economy. The examination of the latter’s impact on culture in contemporary China is a third theme of the book, coming to the fore in chapters 6 and 7, on Keep Cool and Happy Times, respectively. Both films take place in the city, where strangers meet and often try to trick each other in the pursuit of material wealth. But, as ever, Zhang defies stereotypical expectations. Larson points out that in both films the drama is initiated by the inability to meet a financial demand—for compensation because of a broken laptop in Keep Cool and to pay for a wedding in Happy Times. In a context where emotions and affects are displayed as thoroughly commodified, the failure of the market ironically opens up unexpected alternative possibilities—for male bonding across class and generation in Keep Cool and the effort to build a nostalgic socialist community to help a blind girl in Happy Times. However, in the ironically named second film, the community is entirely performed, like the displays in Raise the Red Lanterns, and there is no possibility of authenticity. Indeed, despite the warm nostalgic glow, the film offers no hope for the future of its characters beyond the timeframe of the narrative. Chapter 8 is a reworked version of an earlier essay on Hero, which stirred up debate and no doubt helped to spur Larson on to write this book. In the same way that she moves beyond the established discussions of realism in her chapter on Qiu Ju Goes to Court, in this chapter she analyzes the debate around the claimed authoritarian—even fascist—inclinations of Hero, but moves in a different direction. Instead, she highlights the fourth theme of the book, China’s experience of globalization. This theme has been present since the chapter on Red Sorghum, where Larson points out the resonance of the Japanese attack in the film with China’s sudden exposure to the Western world in the 1980s. In the chapter on Hero, it is the Qin 秦king’s determination to conquer his rivals and create the first Chinese empire that resonates with the process of globalization itself: many critics see a flattening of cultural difference as characteristic of globalization, and the Qin Emperor is equally known for his obsessive pursuit of standardization throughout his empire. The term used throughout the film to speak of the known world, tianxia 天下, is usually translated in English as “all under heaven” and also echoes the totalizing quality of the contemporary notion of the global. In the case of Hero, Larson sees the contest between the brush and the sword as one between culture and power in its militarized form. Ultimately, culture loses that battle in the literal sense, even as it is immeasurably more appealing than the massed soldiers of the Qin army and the paranoia of its court. Larson continues to explore the impact of globalization and the market economy on culture in her final chapter, on Riding Alone for Thousands of Miles. The lead character comes to China from Japan, hoping to communicate with his estranged son, into an area of the Southwest famous for its local opera forms. As elsewhere in the book, Larson is not particularly interested in the display of quasi-ethnographic detail. She notes that all the father’s efforts are dependent on mediated forms, from the telephone to the videotape, and all of them fail. But, as in Keep Cool and Happy Times, it is upon failure to reestablish an authentic link within his own family and his own Japanese culture that opportunity unexpectedly—and some would say implausibly—knocks, in the form of a small, lost Chinese boy he cannot talk to but somehow establishes a bond with. Despite such “glimmers of hope” (341), the overall picture of both this and indeed all the films examined in the book is bleak: whether looking back at Maoism or the brave new world of the market economy and globalization that has taken its place, the possibility of culture as a site to resist is weak, and even the authenticity of culture itself is in doubt, reduced to performance and commodity. 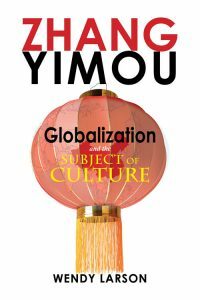 Although I have emphasized the themes that run through the book here, each chapter in Zhang Yimou: Globalization and the Subject of Culture is autonomous, making it possible to assign individual chapters for classroom use. Larson writes lucidly and persuasively, and my only criticism of the book is Cambria’s incomprehensible insistence on clumping all the figures at the end of each chapters, rather than where the reader needs them. Taken together, as I hope I have shown, the chapters combine to produce one of the most detailed and sustained analyses of a certain trajectory through much of Zhang’s most powerful work. They make a persuasive case for taking the popular in contemporary Chinese culture seriously, regardless of questions of taste. Larson’s rich and engaging book is a seminal text in Zhang studies. But I also hope it will inspire us to think about what else we can do with Zhang Yimou’s films and other popular Chinese films. Larson’s method is confidently hermeneutic and text-focused, but I hope scholars will consider also taking other approaches, such as examining the textual traces of audience responses to Zhang’s work to understand how it is circulating not only amongst academics but also with regular audiences. Through examining his remarkable career, perhaps we can also understand more about Chinese cinema today as a cultural and industrial practice. Larson’s welcome book reminds us that although the field of Chinese cinema studies has grown and diversified, it is perhaps in the realm of popular film that the most work remains to be done. Zhang Yimou: Globalization and the Subject of Culture takes a huge step down that road.